The 2019 Hughes Lecture Series will take place Thursday, March 28, 2019 at 7:30 p.m. in College Hall and feature bestselling author David Sheff. The lecture is free and open to the public. The West Liberty University Foundation will be hosting a special screening of the film Beautiful Boy on Sunday, March 24 at 3:00 p.m. at the Towngate Theater in Wheeling. Tickets $5.00, free for WLU staff and students. 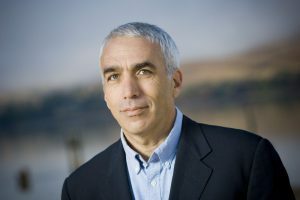 David Sheff is the author of Beautiful Boy: A Father’s Journey Through His Son’s Addiction, a number-one New York Times bestseller. The book was based on his article, “My Addicted Son,” which appeared in the New York Times Magazine and won a special award from the American Psychological Association for “outstanding contribution to the understanding of addiction.” In 2009, David was named to the Time 100, Time Magazine’s list of the World’s Most Influential People. A feature film adaptation of “Beautiful Boy,” produced by Amazon Studios and Plan B Entertainment and starring Steve Carell and Timothee Chalamet, was released in the U.S. in October 2018 and internationally in February 2019. He graduated from the University of California, Berkeley and lives with his family in Northern California. Dr. Raymond Grove Hughes was born on May 29, 1900 in southwestern Pennsylvania. As a child, Hughes contracted polio which left him unable to walk, but he never let his physical challenges prevent him from pursuing a fulfilling life. 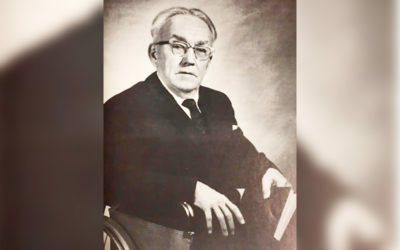 Professor Hughes’s teaching career at West Liberty spanned from 1931 until his retirement in 1970. At West Liberty, Dr. Hughes advised several fraternities, performed with the Hilltop Players, helped students who were struggling to pay tuition, and brought students along on his many travels.